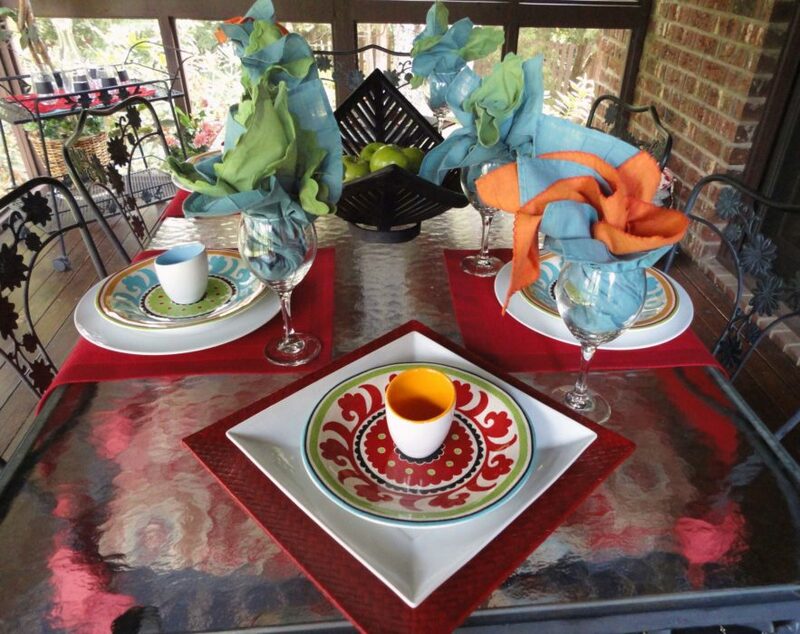 Mixing colors and patterns on your table top is easy when you stay in the same color family. Most stores will have napkins and plates coordinated for you if you focus on the the displays. Pier 1 is especially great with this kind of display. The center piece, which is hard to see is a large unique shaped basket filled with bright green apples. I like using fresh fruit and flowers for a centerpiece. The bright green really makes a statement and added calm to the center of the table. 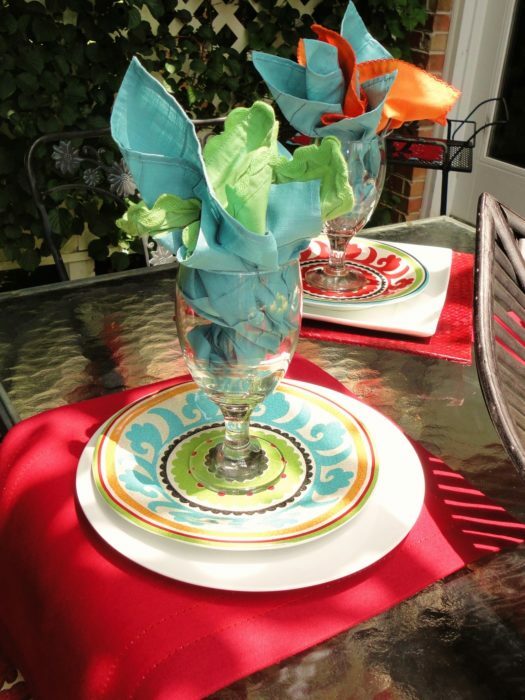 Fold two napkins together in assorted colors to make each setting for pops of color. So much fun to create lively table settings. 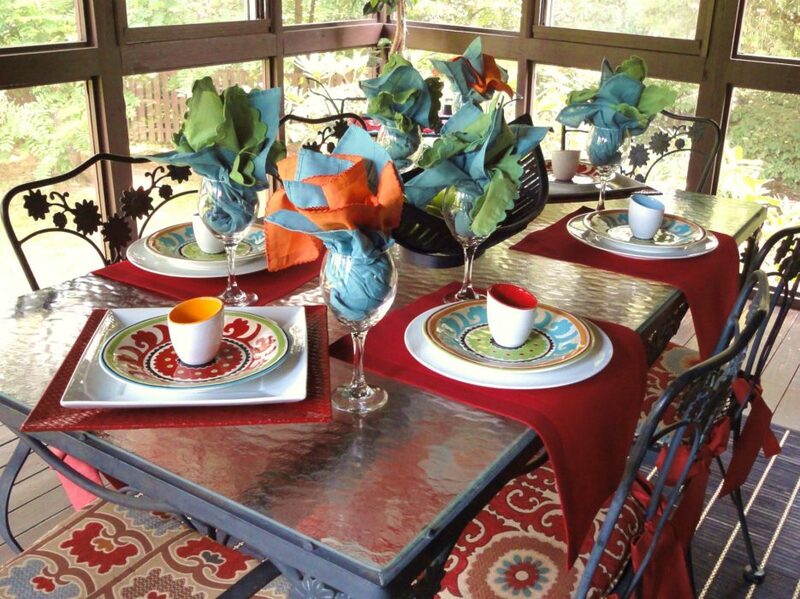 Hope you will venture out and create a lovely table for your family and friends. This setting was for a dear friend of mine who let me borrow her table for an event. In return for letting me use her table I redecorated her sun room off the living room. She was thrilled and I was thrilled to do something lovely for her.